I’m back with another fun addition to Addison’s room! I recently shared this new bedding and full length mirror we got from Walmart to give her room a little re-fresh. She loves them both so much and uses the mirror multiple times a day when she gets ready. I’ve truly had so much fun collaborating with Walmart on these posts. They have so many cute, inexpensive options for kids’ furniture and decor! They make it easy to update kids’ spaces. I’m excited to show you something else we are loving from Walmart! 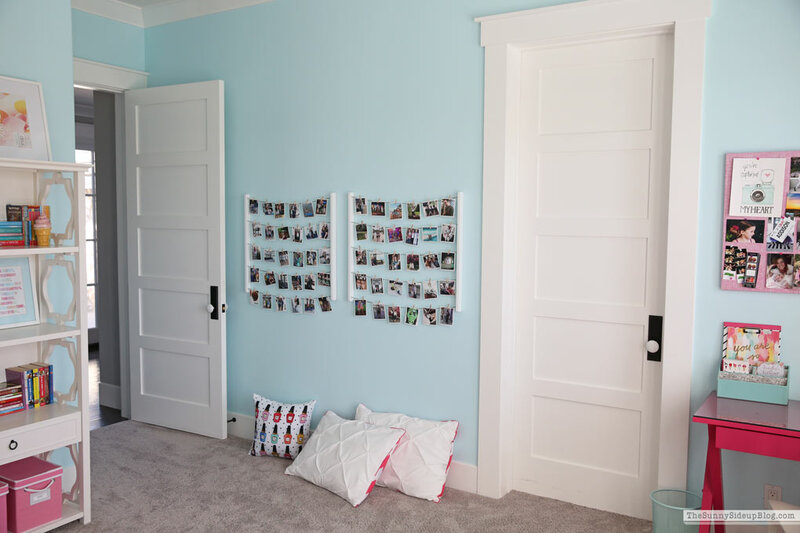 The one spot I never finished decorating in her bedroom was this blank wall next to the door to her room. We planned on doing some sort of gallery wall, but never got around to actually doing it and to be honest I don’t think Addison was ever very excited about putting up large frames with just a few big pictures in them. When I was looking for bedding for her room I came across something that looked like the perfect solution for this wall. This is what her blank wall looks like today! I’m so excited about this and the best part is that she loves it too! This is the Umbra Hangit Photo Display and we put up two of them to fill the space on this wall between the two doors. It turned out so cute! 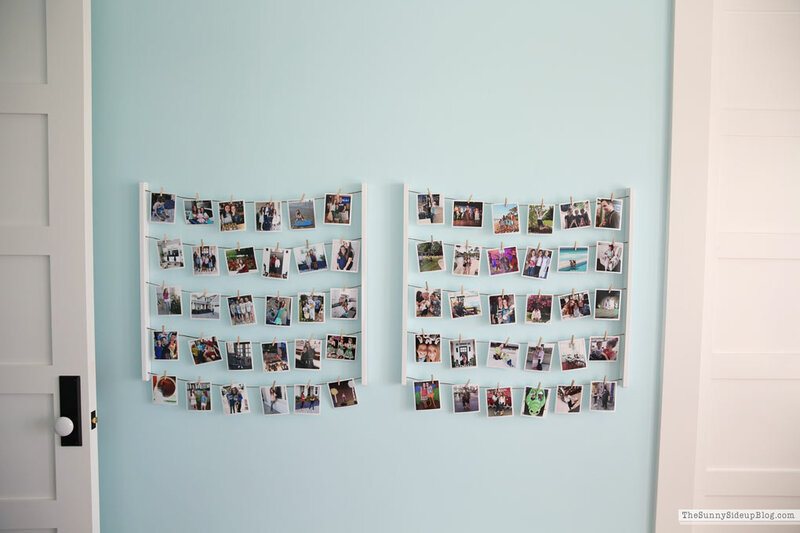 This was so easy to hang and now we she can change out and add new pictures so easily. She kept telling me she wanted something to display current photos on which is hard to do with a large gallery wall. 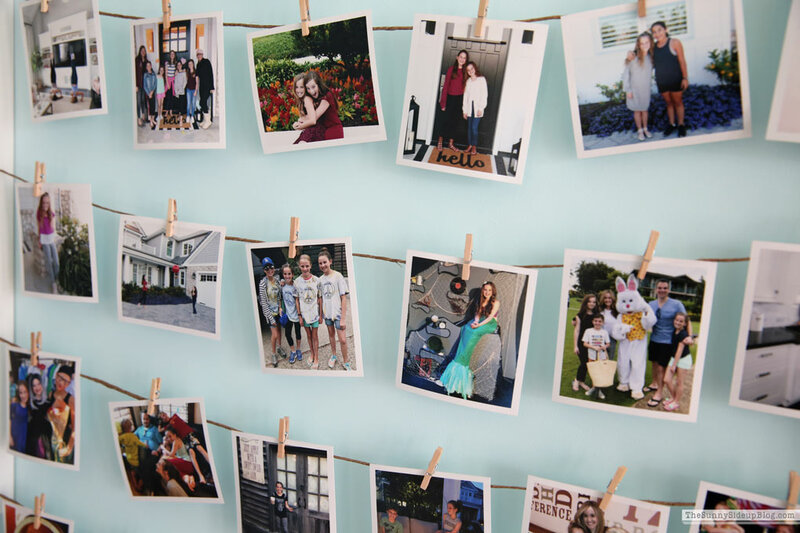 She has a pin board over her desk but wanted something that held more for all of the pictures we snap of her with her friends, etc. This is a perfect solution! 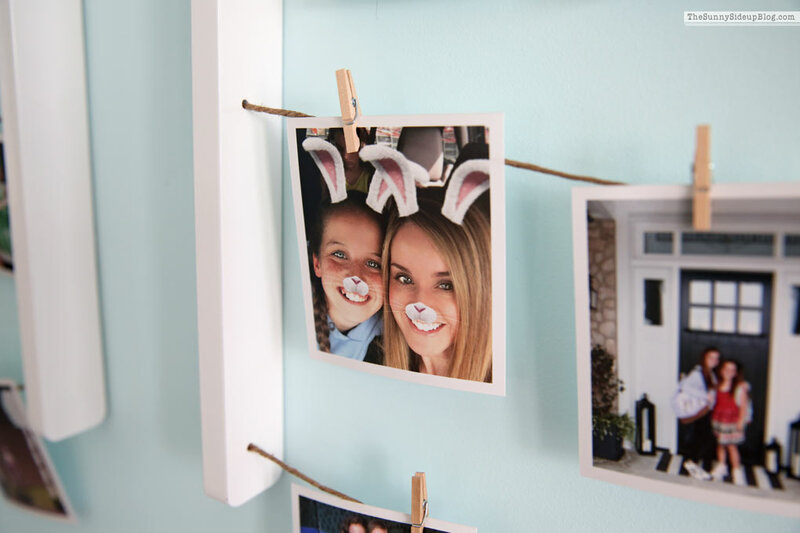 She can hang pictures or notes from friends with the little clothes pins and switch it up any time she wants. Addison and I had fun picking out some of her favorite pictures and then I had them developed with a white border. Most of these are straight off of my phone. I also bought these two nice white frames to go above her bookshelf. I’m going to put some pictures in them from our next family photo shoot. Which reminds me. I need to schedule our next family photo shoot. 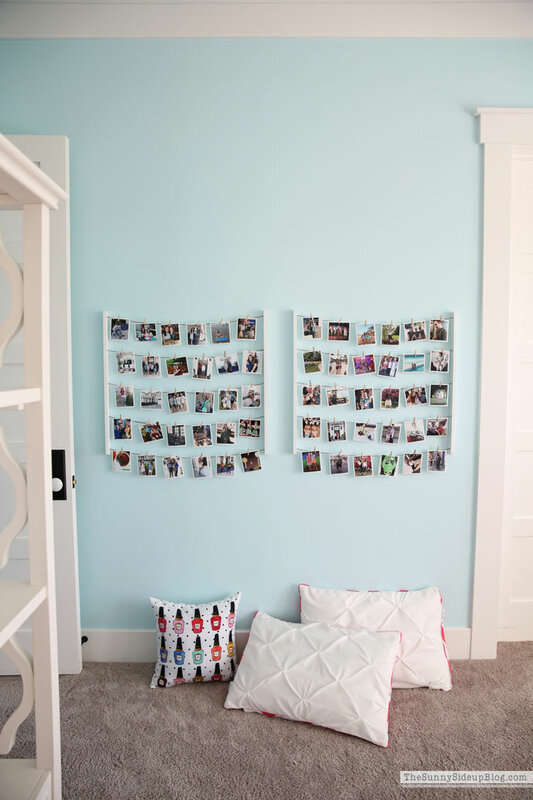 This was such a simple update that really made her room complete and is so perfect for a 12 year old. She is thrilled with it and I’m thrilled I don’t have to plan out a gallery wall! This was a much easier solution and took very little time. Done and done. Mission accomplished. :) El just told me the other day that she wants to give her room a teen re-fresh and I’m so excited to start working on that after the holidays! I need to share her current room with you all first so I’ll try to get that posted soon. I can’t believe I took pics of her room years ago and never shared them! Actually.. I can believe that. One last thing Ad is beyond thrilled about. She saw this extra large pouf on-line when we were picking out things for her room and BEGGED me for it. To be honest when I ordered it I didn’t realize how huge it would be! It came in the mail and I had to laugh. It’s enormous! But I knew as soon as she saw it I was going to have to let her keep it. If she’s happy.. I’m happy. We have the ears to prove it. 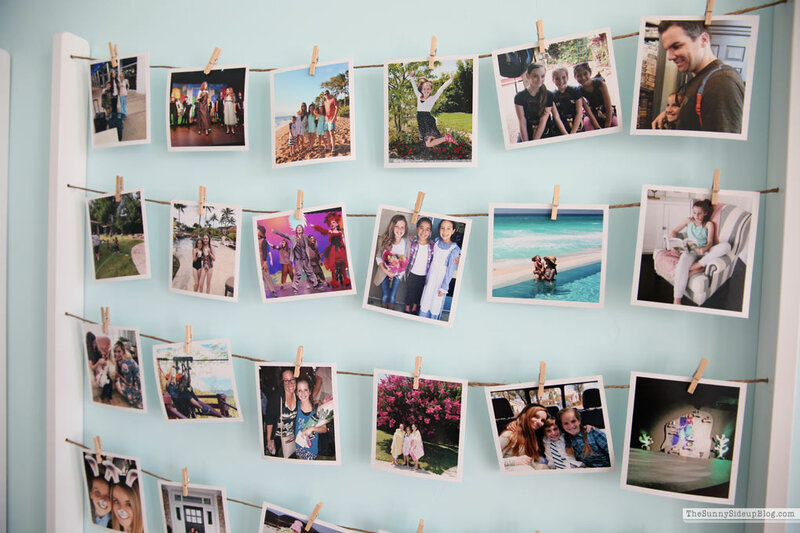 That photo collage is adorable! Something my girls would like too! How do you print your pics with a white border? Thank you! That desk is the absolute perfect size for my daughters room I’ve been looking for that everywhere can you please let me know where you got it ?